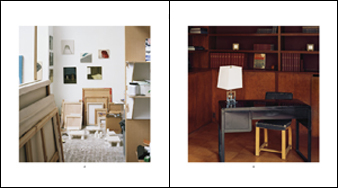 Bill Jacobson is widely known for his out of focus photographs which suggest the temporality of human existence. Whether shooting figures or landscapes, his work has been consistently ethereal, addressing the passage of time, loss, and the fading of personal and collective memories. This volume presents a new body of work which, though now quite sharp and defined, is similar in that it presents fragments of both beauty and melancholy. 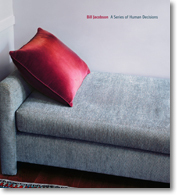 According to Jacobson the title “refers the idea that we live in a highly constructed world. The world is just that, a series of human decisions, one layered upon another over time. We move constantly from one fabricated arena to another.” The images here convey the idea that our creations and subsequent decisions to arrange objects in space become the evolving visual world which surrounds us. Each photograph conveys a human touch, suggesting this process is spiritual as well as practical. Bill Jacobson lives and works in New York. He received a BFA from Brown University (1977) and an MFA in from San Francisco Art Institute (1981). For the past twenty years Jacobson has exhibited widely in both gallery and museum shows throughout North America and Europe. His work is in numerous collections, including The Metropolitan Museum of Art; Guggenheim Museum; Whitney Museum; Museum of Fine Arts, Boston; San Francisco Museum of Modern Art; The Museum of Fine Arts, Houston; and the Victoria and Albert Museum.